$279.95 Seen a lower price? $289.95 Seen a lower price? 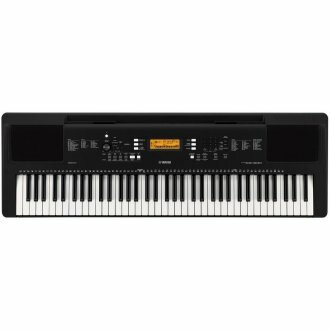 The Yamaha PSR-EW300 has everything you need in a starter keyboard, with 76 keys for the more serious piano beginner. With USB to HOST audio and MIDI connectivity, it's easy to expand the capabilities of your instrument by interfacing with creative or educational apps on your iOS device or computer. On-board lesson functions, including the new Touch Tutor, help to supplement regular piano lessons. For fun, plug in your portable music player to the Aux Input and use the melody suppressor to soften the lead vocal so you can sing and play along with your favorite tunes. - USB to HOST connectivity with MIDI and audio transfer means you only need one cable to connect to your music-making software. - 48-note polyphony allows for more notes to be played without drop-outs, making more complex passages possible. - AC or battery power allows the player the option to plug in when an electrical outlet is available, or use batteries for complete mobility (batteries sold separately). - The Backlit LCD allows users to read the information on the screen under any lighting conditions. 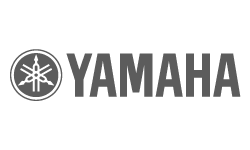 - Yamaha Education Suite (Y.E.S.) allows you to practice using the preset songs (or MIDI files on compatible instruments) at your own pace, one hand at a time, or both together. - Touch Tutor lesson mode tracks the velocity or strength the keys are played at in order to teach dynamics. - The Aux Line Input allows you to connect any music device with a headphone output, such as an MP3 player, a computer, a mixer, or even another instrument so you can hear it through the internal speakers. - Melody Suppressor isolates the melody of audio songs connected to the Aux Line Input jack and reduces the volume, allowing you to sing along or play the lead. Available until 11 PM (EST) today. Mention special code 1ZT-SH3P when you call.